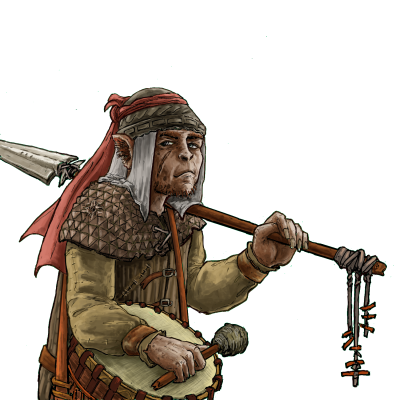 Standard-bearers are an oddity amongst goblins. A goblin who has survived enough battles to be considered a veteran is rare enough, and it is rarer still for the other goblins to recognize and respect his veteran status. Nonetheless, a rouser’s frenzied goading effectively steels the less veteran fighters to strive harder and longer before they die.